From Viladecavalls, around the world. We started running our new warehouse at the end of 2014 in Viladecavalls (Vallès Occidental, Barcelona). 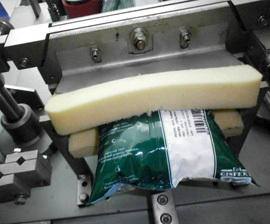 New facilities have been equipped with last technologies, new packaging devices have been bought and new protocols have been designed in order to achieve the strictest quality standards. It is allow us to be more self-confident in the demanding national and international business. 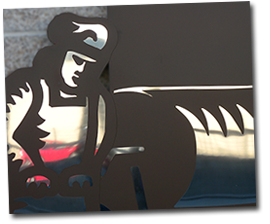 Running a second oven reproducing the first and original oven in our store in Barcelona has been a big challenge. 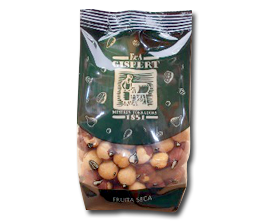 We can roast our nuts, now, in our warehouse, the same way and obtaining the same taste and smoky notes so typical from Casa Gispert. Another cool chamber with more capacity has been built in order to keep our goods in the best conditions. Nuts are selected in order to take away broken pieces and skin. 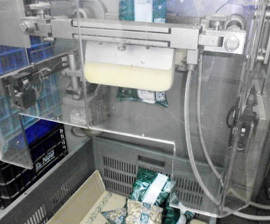 After that, nuts are poured and packed. 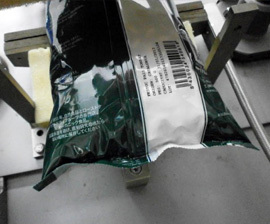 Oxygen free atmosphere: we take the oxygen out of plastic bags to keep their quality. This way, most of our products last one year minimum stored in a dry and cool place away from the sunlight. Labeling include bar code, batch number, packing date, expiry date, product name, description, ingredients, origin and nutritional facts. Products can be labeled in any language. Because it is roasted on wood fire oven: using evergreen oak wood. Then, this is an artisan process. Because our oven is unique. Few more companies use wood fire oven but nobody else is using an oven with the same design and antiquity. 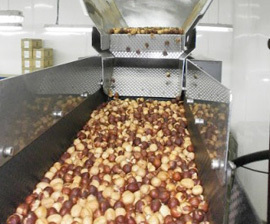 Our nuts flavor is roasted and slightly smoked. Because Casa Gispert sells the biggest nut size. Number 14 for the almonds, number 12 for the hazelnuts, type 1 for the macadamia nuts, etc. Because local origin is top priority for us. Almonds, hazelnuts, pistachios, walnuts, pine nuts. Because our nuts are roasted properly, not too much. This way we keep their health properties and we obtain an excellent taste. Roasted better than fried. Without oils (except for salted almonds and peanuts) or preserving agents. 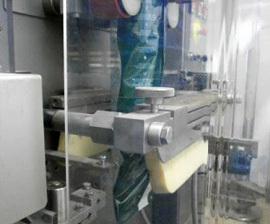 Glass jar content is selected by hand. So, glass jars nuts are the biggest and nicest. Every year crop is different in terms of quantity and quality. This is a global trade and crops from America, Australia and Turkey affects local product price. The same product from different origin can have a different price. The biggest sizes (number 16 for Marcona, for instance) are a little bit more expensive. A poor classification by size and product type means a cheaper product. Heat, gas, wood. The first two roasting ways are cheaper but tasteless.